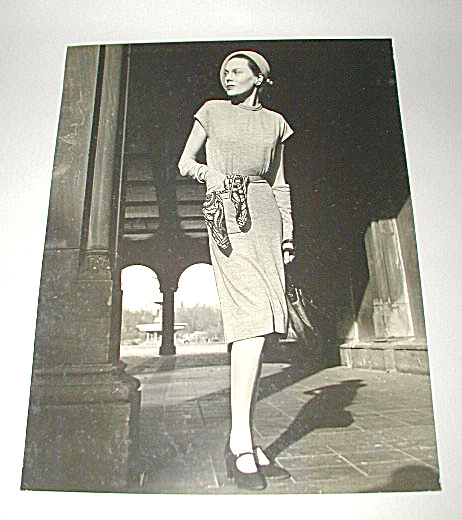 Original vintage fashion photograph by Kay Bell Reynal (1905-1977) who was notable for her fashion photographs. This large photograph measures 13.25"h x 10.25"w. Photographs by Reynal can be found in various museums including the Smithsonian and the National Portrait Gallery in England. Original photographs by her are rarely available for sale. This photograph is from a collection of her photographs given by Reynal to the person who did the development of her photographs, John R. Kennedy.